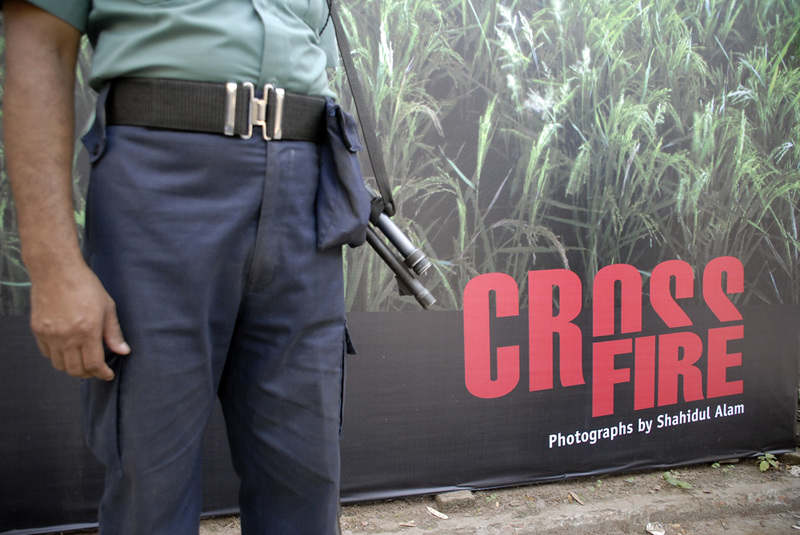 Since the March 23rd censure and closure of Shahidul Alam’s exhibition at the Drik Gallery by Bangladeshi police, events have been well reported and BLOGGED! 100Eyes also had the scoop with a large image of the human chains an d protestors. Robert Godden returned to the issue highlighting the very serious issue of Death threats issued to organisers. Eyeteeth (a new favourite of mine) also followed the shut-down. Of course, if you only have time for one source it should be Shahidul Alam’s own blog, to which two posts have been posted – firstly, Siege of Drik Gallery and secondly Drik: Photo power. What’s my point? My point is that if we bloggers are to be be labelled prairie dogs (here and here), perhaps we should be noted for our hard work, solidarity and a long gaze that goes further than the end of a trustee’s vault?